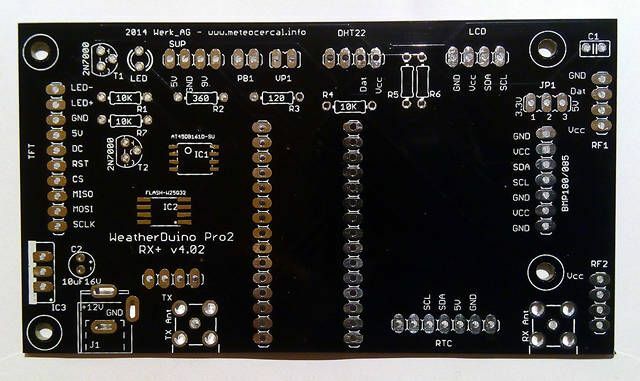 The WeatherDuino Pro2 RX v3.0x boards are now out of stock. Next December will be available a new v4.02 RX board, with a lot of improvements to support new optional features introduced in the last v013 software. Note: v013 software is fully backward compatible with all previously released RX / TX boards. If you are planing to start building an WeatherDuino Pro2 weather station, please wait for publication of the parts list for the new v4.02 RX boards. 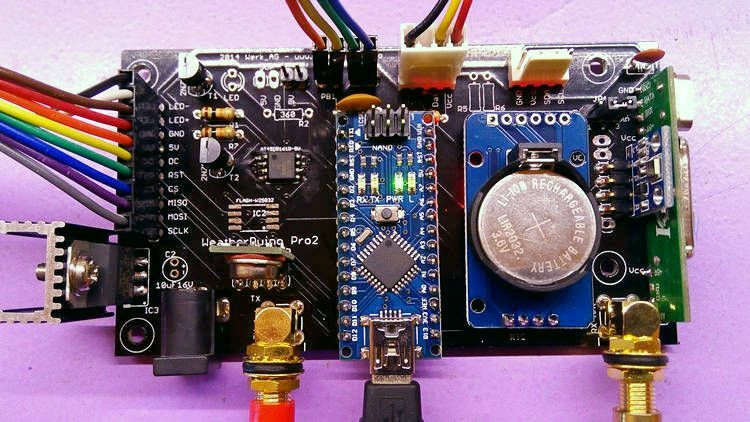 The new board uses basically the same parts than previous versions, but needs some extra parts to support new optional features such as the TFT backlight control or a relay mode that allows you to have several wireless display's all over your home, with data sync to the main RX unit. IC1 and IC2 SMD components are not needed. WeatherDuino Pro2 RX does not use them.